[Editor's Note: The Spirit Guides wanted to preface the entire section by pointing out that prebirth planning is usually involved prior to earthly incarnation. The title of this specific commentary was not chosen by the Spirit Guides but will be kept for the time being to maintain consistency between Afterlifedata.com and Afterlife101.com.] We will begin by talking about souls before they have become infants who are looking at parents and situations and making choices about why they they would be choosing these parents and what lessons they would be learning.A spirit before reincarnation chooses an environment that they will be able to move into that will help them best evolve in their spiritual journey. They have a general overview of what's going to be happening to them and observe the experiences they will have to evolve spiritually. Once upon earth they do not recall this life preview. 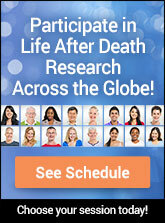 As the time approaches for rebirth, we go to a space where a number of bodies are reviewed that might meet our goals. We have a chance to look into the future here and actually test out different bodies before making a choice. When the soul incarnates into a human body, there is memory lapse involved, they explained, And so there are those things [lessons] which are recognizable but not stored in the conscious mind. You are assuming that we are the only one that made this decision. Think of the boy, the child. What if he decided that he was going to have an abbreviated life, wanted the benefits of having Valerie as the mother-personality for the time he was on Earth, and she agreed? Sometimes short lives are chosen when a soul wishes to accelerate its growth. We ask you to know that there are no simple answers. All lives are interconnected. This is a basic spiritual tenant. So, to ask A happen simply because of B - no, it happened because of B, B prime, C, and many other reasons. This is why planning is required before incarnation - to make sure that the life weavings benefit all for the reasons they wish to learn. If you want to know what you think of yourself, then ask yourself what you think of others and you will find the answer.